Nearly 120 years ago, Manitowoc was a growing region with three successful shipbuilding companies, and local business and government leaders asked the Franciscan Sisters to sponsor a hospital. Citizens collected money from private sources, and while far short on needed funding, the hospital was built based on deep trust in God and a mission to heal the sick. 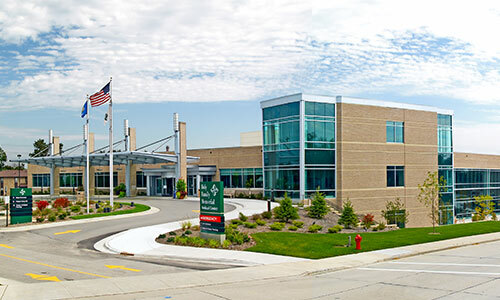 Today, this hospital still serves the community as Holy Family Memorial and was asked to be built because we had a growing community, and government and business officials understood the importance of having healthcare nearby for the citizens, as well as creating jobs and economic development. They also chose Catholic healthcare – knowing it is based on serving anyone and everyone – which cannot always be said of non-Catholic healthcare. This thinking remains important today because of the large percent of Medicare-eligible patients in our community. Why? Catholic healthcare’s mission is focused on serving everybody, regardless of ability to pay; which is a major difference in an under-served community or one having a large elderly/aging population. Local healthcare is a core element in our community due to local physicians, specialists and employees who live and shop to create more economic development and a stronger tax base. We are fortunate to have fellowship-trained and long-term orthopedic specialists such as Dr. Ryan Dopirak and Dr. Kirk Dimitris, general surgeon Dr. Matt Campbell, and emergency physician Dr. Bill Hampton. In addition to the economic development, tax base, and jobs; Catholic healthcare provides countless hours of service and dollars back to the community as well. In 2017, programs, events and services used to promote health and healing to meet community needs totaled nearly $27.3 million. This includes free care to more than 650 patients who did not have insurance or whose insurance left them with an out-of-pocket balance, and unpaid costs of Medicare and Medicaid (defined as differences between the program net patient revenues and cost of providing the services). It also includes approximately 64,000 people benefitting from activities such as free health screenings, educational programs and community health improvement initiatives. However, it does not take into consideration the countless hours invested by hundreds of employees on local committees, task forces, boards, etc. to be engaged in other organizations and programs to make our community better. A core part of any organizational strategy is to look at growth and sustainability, which is something done at HFM. Given the basic premise of Catholic healthcare is to serve the needs of the community, another common strategic exercise is asking, “What would the community look like if we were not here?” Our hope is others in the community are also asking this question – especially the government and business officials – so we can all collaborate again as we did nearly 120 years ago to continue our mission and commitment to Manitowoc County. HFM’s mission has always been rooted in the healing ministry of Jesus Christ to serve all people in our community – and ideally keep healthcare local for the good of the community. It has been an honor to serve this community for nearly 120 years; and we hope the hearts of HFM employees are melded with the hearts of our government and business officials to ensure our community always has local access to healthcare, regardless of ability to pay. 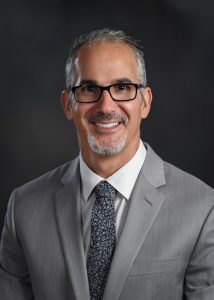 David Yeghiaian is the Chief Culture & Strategy Officer at Holy Family Memorial. Reach him at dyeghiaian@hfmhealth.org. This entry was posted in Blog, Work Well. Bookmark the permalink. ← HFM Behavioral Health welcomes new providers.